How complicated does life become when you have to rely on cows to carry your water, in 20-liter cans, up steep and muddy cliffs? 12-year-old Darwin knows the answer. Five years ago, Darwin, at the time seven years old, had to get up at dawn every morning. It was his responsibility to fetch water for the family before school, and the path to the stream near the ocean was both steep and long. 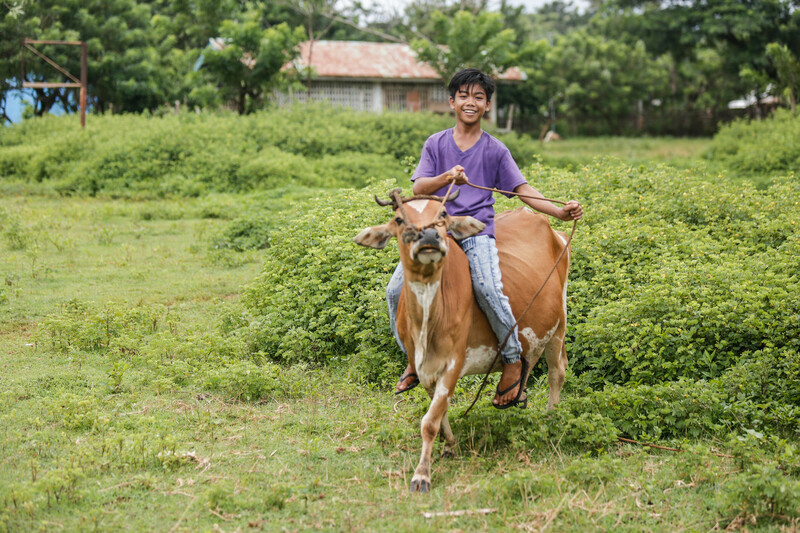 Darwin used to use his cow to help fetch water from the stream. It was the same for many of the children in his village. Because of the intense effort involved in collecting the water, children were usually exhausted when they did eventually get to school, making it hard to concentrate. The lack of clean water and good sanitary facilities also resulted in frequent illness among the students. It has been five years since Plan International started to work in Darwin’s community. The first task was to build a new water pump, improving community’s access to clean water. Other measures including toilet construction have improved community hygiene and sanitation. 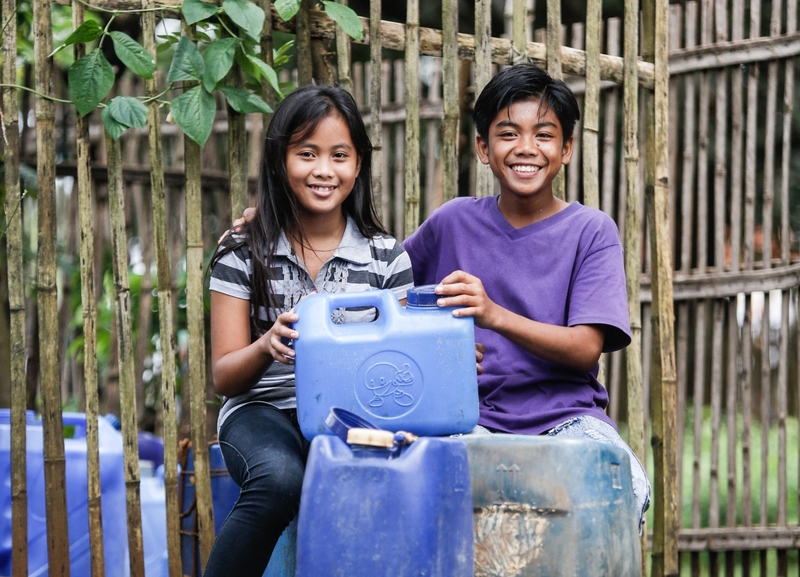 Darwin and his sister collect water from the new pump installed by Plan International. Children have more time for school since the water pump was installed. Five years on, out of 150 households, 145 now have toilets. Animal numbers have tripled and farmers are able to export their surplus crops to the mainland. Most importantly, children are able to get to school on time, are healthy and can concentrate in class.